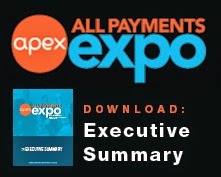 All Payments Expo Blog: Doesn’t Your Four-Year-Old Have a Prepaid Credit Card Yet? 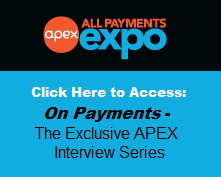 Doesn’t Your Four-Year-Old Have a Prepaid Credit Card Yet? Odysseas Papadimitriou – CEO and Founder of CardHub.com – believes we need to start teaching our kids about money management at a very early age. And he thinks prepaid cards may be the answer. I think he’s on to something, but I also have a few concerns. Is my four-year-old really ready for a prepaid card? that while most parents take the time and care to teach their children social norms and values – along with how to tie their shoes and how to read – we’re sorely lacking when it comes to teaching them how to manage money. I think the bigger issue may be that many parents don’t know how to manage money, themselves, and modeling their behavior is probably doing twice the damage to their children. I have two young children, and trying to talk them into *not* buying a “Happy Meal” – plus toy – is tough. They expect the toy; the meal is almost secondary. 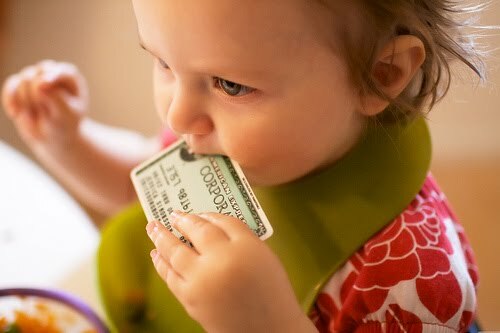 Hypothetically (in case anyone from DCFS is reading), if I gave each of my kids a prepaid card, while they would not go hungry, they most assuredly would also not forego the toy for a less expensive but equally nutritious menu item. Where, I wonder, did they pick up this behavior? Let’s face it: Many adults want more than they can afford and turn to plastic to deflect the pain of paying on the spot. We’ve heard this ad nauseum since the “Great Recession” hit: Americans don’t know squat about saving. When you are free, visit your local big box electronics store with all of those impressive 50-plus-inch plasma TVs and mobile gadgets practically begging to jump off the shelf and into your loving arms. I’d venture 90% of those purchases are on a credit card of some type. My point is that teaching the next generation fiscal responsibility is a great idea, but maybe it should be done in a fashion similar to addiction therapy? Because we are instant gratification junkies, and children model what they see. In this case, prepaid cards would be the training wheels needed to prepare our children for the financial Tour de France that is life. I like these analogies. But responsible parents don’t stop at training wheels; they buy a helmet, knee and elbow pads, etc… And it also helps if the parent knows how to ride a bike in the first place. I also don’t dispute his premise, but my issue with Papadimitriou’s logic is that he’s talking about kids, not teens and young adults. I would love to see some variations of this strategy for those instant gratification addicts I mentioned earlier: people who haven’t been schooled on finance 101 and have a history of fiscal irresponsibility to unlearn before they attempt to teach their children how to manage money. This could represent a massive marketing opportunity for the prepaid industry: Helping parents learn how to teach their children financial responsibility by example. Parents need help and if you can find the right “simple” method, you will win the hearts of parents all over the world. In conclusion, I have a suggestion for parents of young children who may not be ready for a prepaid card, but want to start teaching financial responsibility early: Donate the “Happy Meal” toys to less fortunate children in 3rd world countries. As both prepaid industry professionals and parents, what do you think?